We don’t want you to feel left out. We Love Our Grooms. This is just for you. 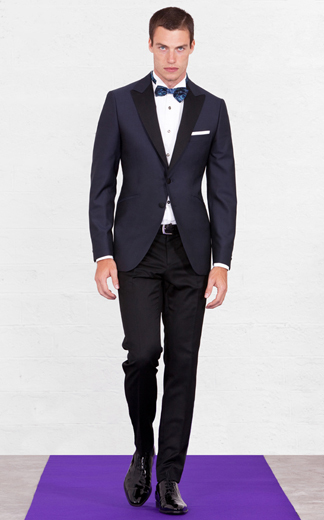 Trends, fun-facts and ideas for the groomsmen. 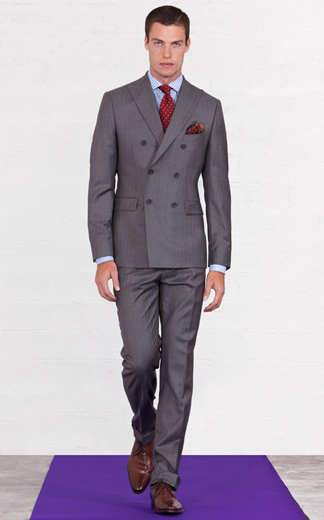 Forget the notion that made-to-measure garments are an expensive indulgence. 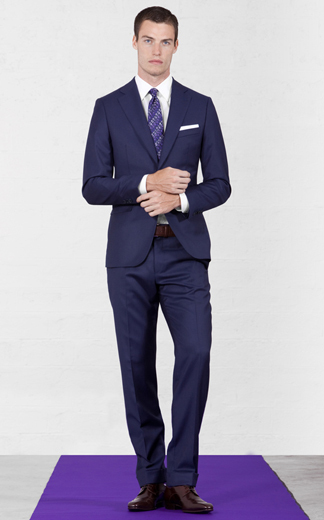 Louis Purple is a welcome company to this growing market of men who want a uniquely tailored one-of-a-kind suit for their wedding or if you have to wear a suit for work. You can choose from their extensive range of fabrics: Dormeuil, Holland & Sherry, Cerrutti, Loro Piana, and Vitale Barberis. With Louis Purple, making clothing more personalized is an art form. You can add your own personal style, by choosing different silhouettes, pockets, vents, contrast buttonholes, hand-stitching and so many more options. They even have a virtual Creator that will help you visualize what the final suit will look like. SWEET!! So get measured by their consultant (just 20 min of your time) and pick your fabrics. In 3-weeks, you have a custom-made suit fit for a king. What’s more impressive is the price. 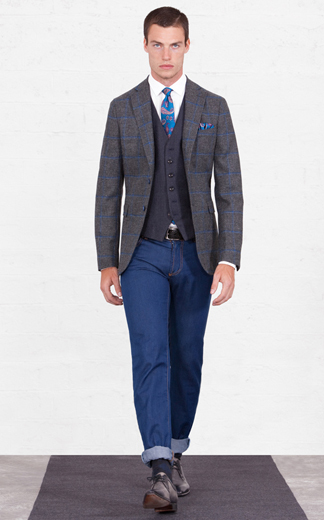 $700-$1,100 for a suit – in some instances that includes a vest and shirt. WOWZA! Founded in 1963, Fuentecapala is now headed by the third generation of the Vargas family. Since it launched its men’s ceremonial range in 1998, the label has become a global name in top-end prêt-à-porter. Original design, perfect finish, premium quality fabrics are the hallmarks of this men’s wear producer. The Madrid-based firm exports its products all over the world, primarily to Japan, the USA, Canada and Scandinavia. In 1994, it launched a highly successful women’s collection in a bid for diversification. It currently presents its men’s wear at the Gaudí Bridal Wear Catwalk in Barcelona and is a regular at top global trade fairs including CPD in Düsselforf and SIMM in Madrid. In honor of October 10, 2010 (10/10/10), guests who stay at the Sheraton Nassau Beach Resort for two nights will receive their third night for just $10*! Act fast – the booking period is only 10 days, October 4 through October 13, 2010. The rate is good for travel October 4 through December 23, 2010. Guests must book a min/max of three nights, with the first two nights at a rate of $199 per night. This season I made a concerted effort to see as many men’s fashion shows as I could. Personally I found the men that catered to men made equal an effort to show fashions that were wearable, yet grown-up casual chic. I know that’s a big mouth full, but one designer that I loved was Duckie Brown. It was a combination of surfer dude goes to Wall Street casual. This was the best of both worlds: runway and then presentation. You could actually see the clothing and not just blurs racing down the runway. The looks were pretty minimalist given the fabric and style but it worked. The surprise for men in men’s wear is they also used sheer fabrics and some draping techniques in their cardigans. Color, pattern, and the clash of them all worked in this collection. “Like the boys had dressed in the dark,” said Silver. “Or like a rave, building to a frenzy in the end,” added Cox. There was a smooth sharing from Eastern to Western and it left us in the audience with an optimistic feeling that men could and would embrace color in the spring. That once we get through this cold grey winter, there would be warmth in the arms and on the backs of the men in our lives. So gentlemen, take it from me, wearing all black, faded blue jeans or those t-shirts from your high school days are SO over. Duckie Brown has created a new kind of grown up cool for you to wear. Style Trends: Bulky Sweaters, Tartan, Wrap Shirt and Two-Button Jacket.